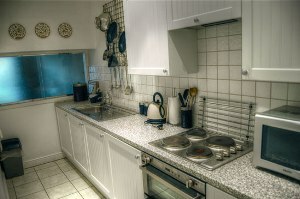 Our self contained, one bedroomed apartment provides spacious and comfortable self-catering accommodation. As part of an early Victorian Grade II listed building it has high ceilings and some original features but also benefits from all modern conveniences. It has been assessed as achieving 4-star standard under the Quality in Tourism scheme run on behalf of Visit England, the national tourism agency, since 2009. 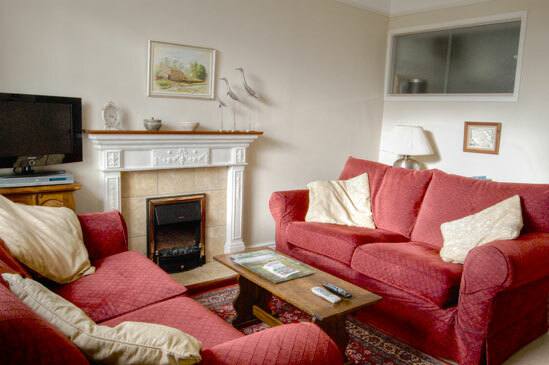 Located in the picturesque village of Giggleswick, Pendle View Holiday Apartment is ideal for exploring the Yorkshire Dales National Park and the Forest of Bowland Area of Outstanding Natural Beauty. 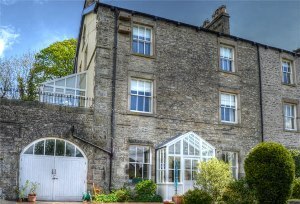 You could take a trip on the famous Settle to Carlisle railway or if you are feeling energetic the footpaths start on the doorstep! If you want to bring your bike there is room to store it securely. 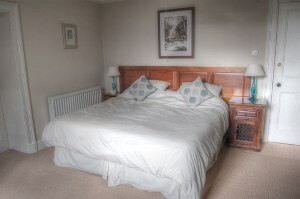 It is a very short walk from the two village inns, where good food and an extensive range of real ales can be enjoyed. The market town of Settle is less than a mile away and has a variety of pubs, restaurants, shops, banks, Post Office and a weekly market. We hope you decide to come and try us out. We don't think you'll be disappointed.